The phrase “easy as pie” doesn’t normally refer to the act of making a pie, because we all know that it is not always an easy task. 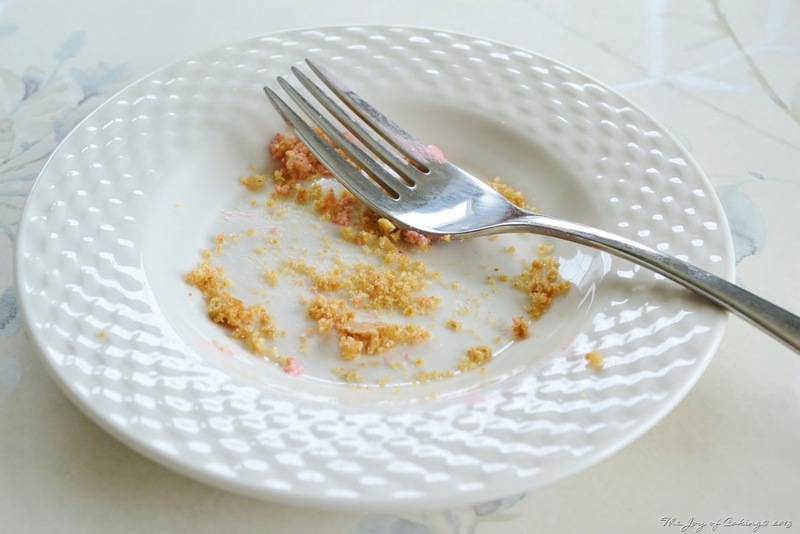 What it refers to is the act of eating pie – which is normally considered quite simple. At least it is for me anyway. I’ve found a recipe for a pie that gives the phrase “easy as pie” a whole new meaning. This recipe is from Kraft Foods, and I promise you it will be the easiest, and probably the healthiest pie you’ve ever made. The reviews that this recipe got are so good that I couldn’t wait to make it myself. In all honesty, I’m not sure why I haven’t made this pie before now since it’s a fairly common recipe. I’m almost thinking it might even fit into the retro recipe category. Aside from the pie crust, this recipe only requires three common ingredients. Yes, you read that correctly – just three! And as long as we are talking pie crust, I made my own graham cracker crust instead of buying a packaged one because I wanted to serve my dessert in an 8”x8” pan which then turns this recipe into a square pie. Is that a new word – square pie? 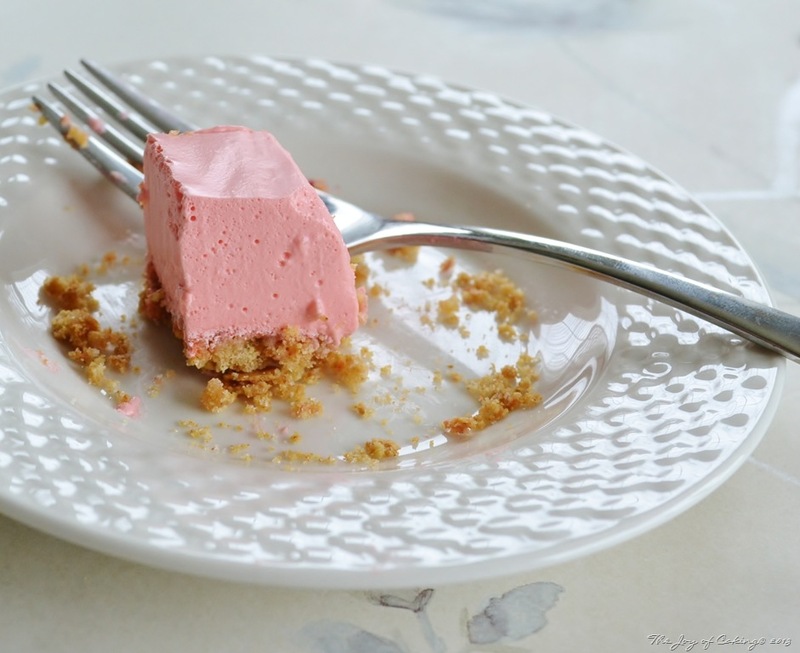 I love the lightness and fruity flavor of this dessert. If you’re not a raspberry fan then be creative and try a different flavor. I’m already thinking ahead to Easter! For the original Kraft recipe, to read reviews, or see the nutritional information, follow the Kraft Foods link above. And remember, the nutritional value of the pie I made is going to have less sugar and calories because it’s made with sugar-free gelatin. Now, let’s talk about the phrase “easy come, easy go”. Pick your poison: Banana Cream, Coconut Cream, Almond Cream, Chocolate Cream, Butterscotch Cream, or Vanilla Cream Pie. And so I did; Vanilla Cream Pie. 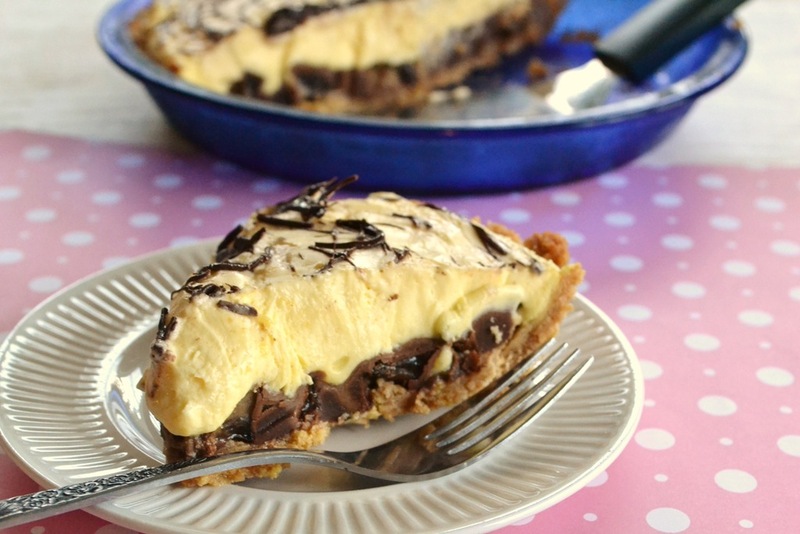 This pie is so simple, yet so rich and creamy. It has a hint of old-fashioned to it – which I like. Nothing fancy or extravagant, just pure deliciousness. This recipe comes from Betty Crocker’s Picture Cookbook. 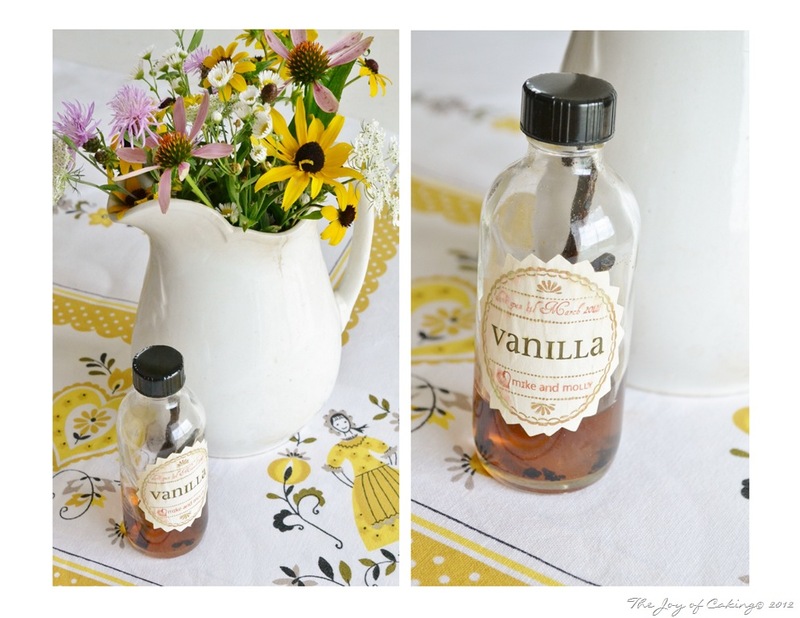 I increased the vanilla extract in the recipe by 1/2 teaspoon. You will need one 9” prepared pie crust. I used a recipe for my pie crust out of the same cookbook. Mix in a large saucepan; sugar, salt, cornstarch, and flour. Gradually stir in milk. Heat mixture over moderate heat (stirring constantly) until it thickens and boils. Boil 1 minute. Remove from heat. Slowly stir half the mixture into the beaten eggs. Then blend the hot egg mixture back into the saucepan. Return to heat and bring to boil for 1 minute, stirring constantly. Remove from heat, add butter and vanilla. Pour into prepared pie crust. Chill for two hours before serving. Top with whipped cream, toasted nuts or coconut, or fresh fruit. 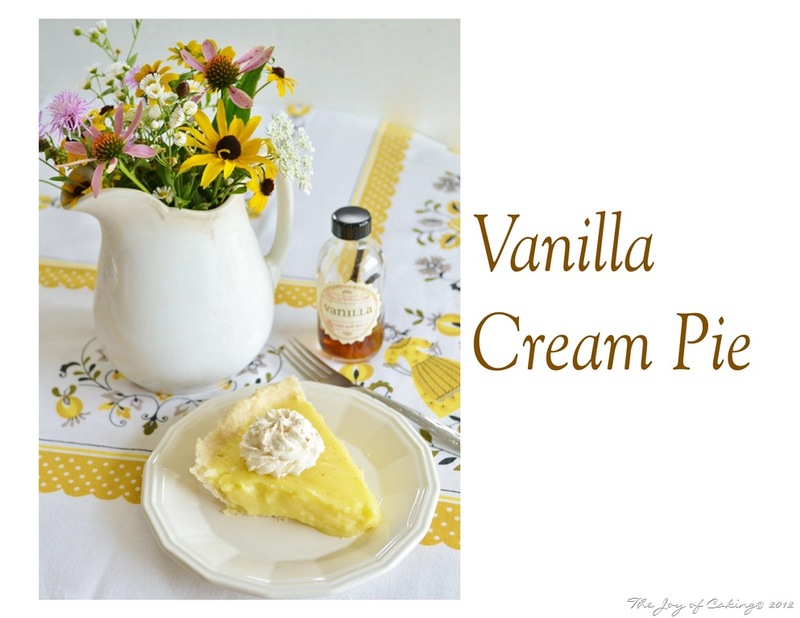 I topped my pie with homemade vanilla-cinnamon whipped cream – yum! I want to thank Mike and Molly again for the bottle of their homemade vanilla that I won in their give-away last winter. It is awesome and ranks right up there with the more expensive brands that I often purchase. Thanks guys! 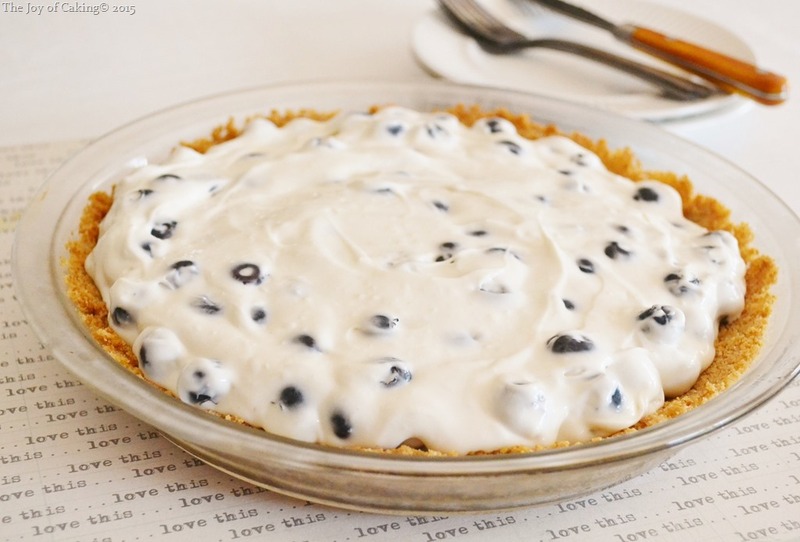 Warm weather = icebox pie. It’s just that simple. 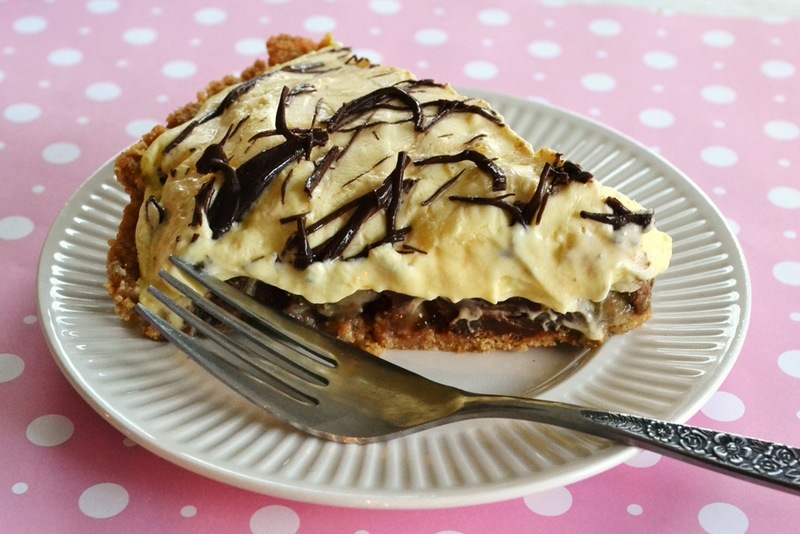 And what could be better than a plate of creamy, chocolaty, crunchy, peanut buttery, banana pie? This recipe was adapted from Kraft Food & Family Spring 2007 magazine. In a large bowl, add crushed graham cracker crumbs and brown sugar; set aside. In a small bowl, microwave butter and peanut butter until melted and add to graham cracker crumbs; mix thoroughly. Press firmly into 9” pie plate and bake for 6 minutes, or until light golden brown. Cool completely. In a large bowl, add milk and vanilla pudding. Mix about 2 minutes, or until thickened. 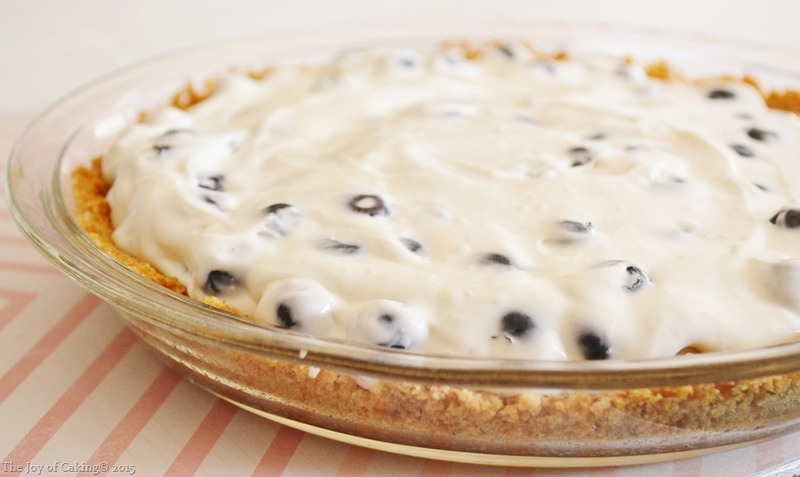 Fold in non-dairy topping and place in refrigerator. Peel and quarter bananas, slice and place on bottom of prepared pie crust. Microwave chocolate chips and peanut butter in small bowl until melted. Cool slightly, and pour on top of sliced bananas. 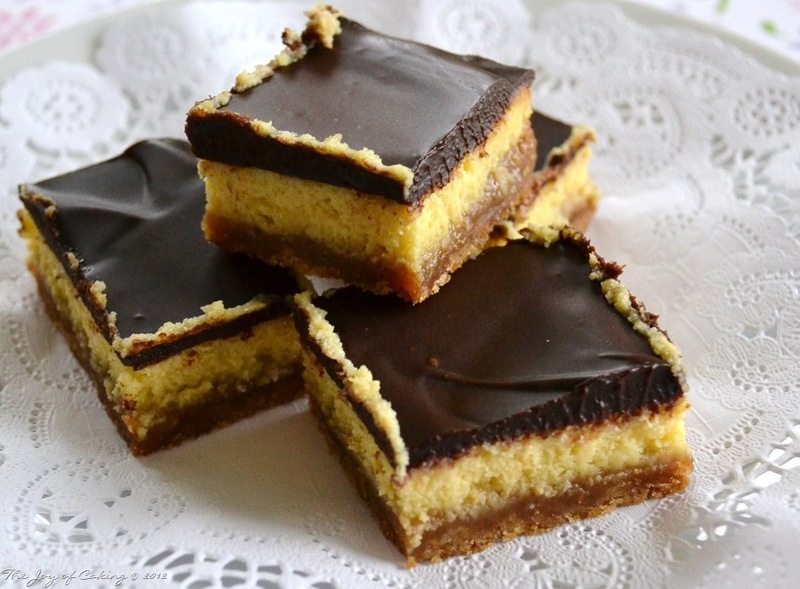 Remove pudding from refrigerator and pour over chocolate – peanut butter mixture. Melt remaining 1/4 c. of chocolate chips and drizzle over top of pie. Return to refrigerator and chill for at least 3 hours before serving. *Note – if you like frozen pie, this can be frozen and served that way too. Take the pie out of the freezer about 20 minutes before cutting to serve. I have resolved myself to make a few more changes to this recipe the next time I make it. First, I’m going to make homemade vanilla pudding to use in it, and second, I’m going to eliminate the whipped topping. 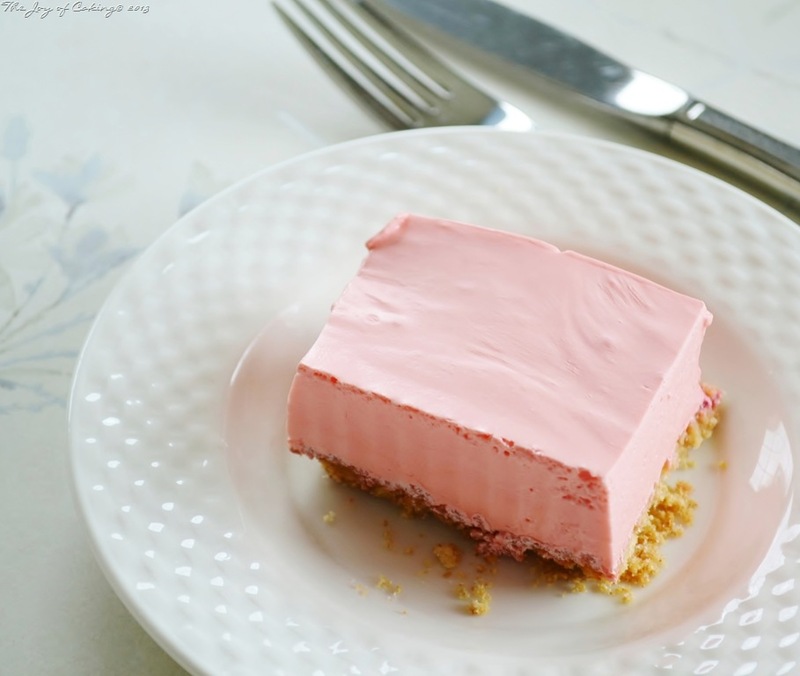 Do you have a favorite icebox pie recipe? Let’s hear about it! 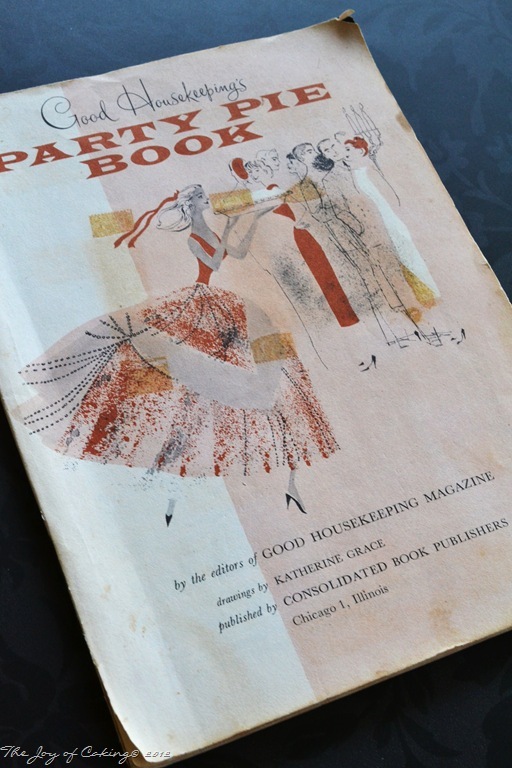 Last weekend I bought a vintage cookbook titled Good Housekeeping’s Party Pie Book for .25 cents. What a buy! The book was copyrighted in 1958 and the condition of the book would imply that it was used frequently. I always consider wear and tear a sign of a good book. Just purchasing the book encouraged me to make a pie. 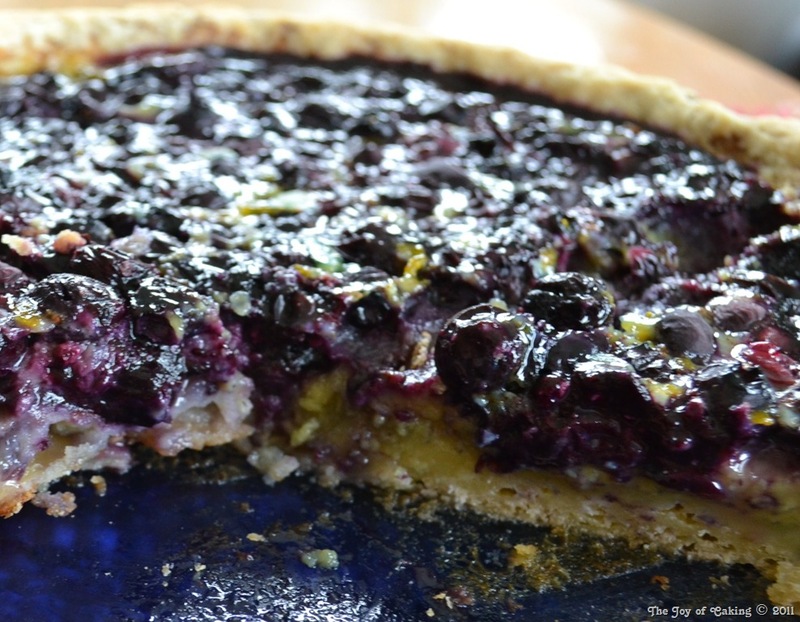 I made an Old-Fashioned Blueberry Custard Pie last summer and I loved everything about it. 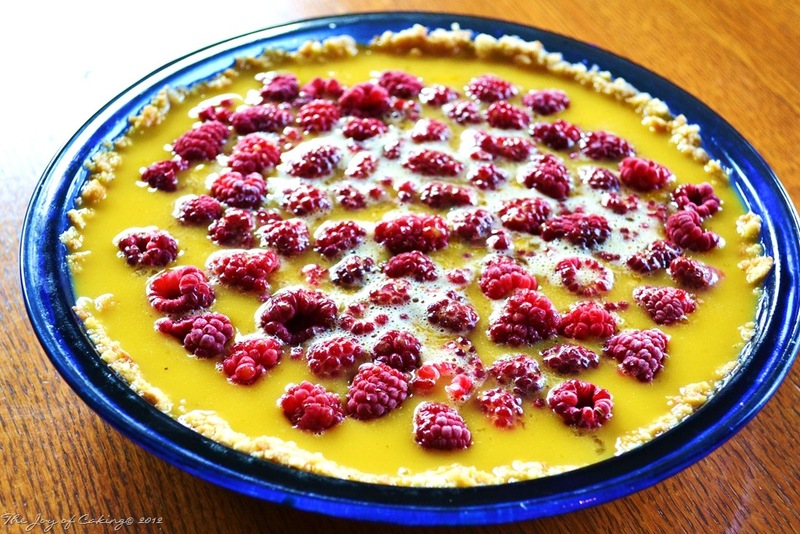 I decided since that was such a hit I’d make a red raspberry custard pie this time around. I picked a pie crust recipe out of the Good Housekeeping’s Party Pie Book and the custard recipe is from Food.com. In small bowl, add vanilla wafer crumbs and margarine. Mix with a fork until well blended. 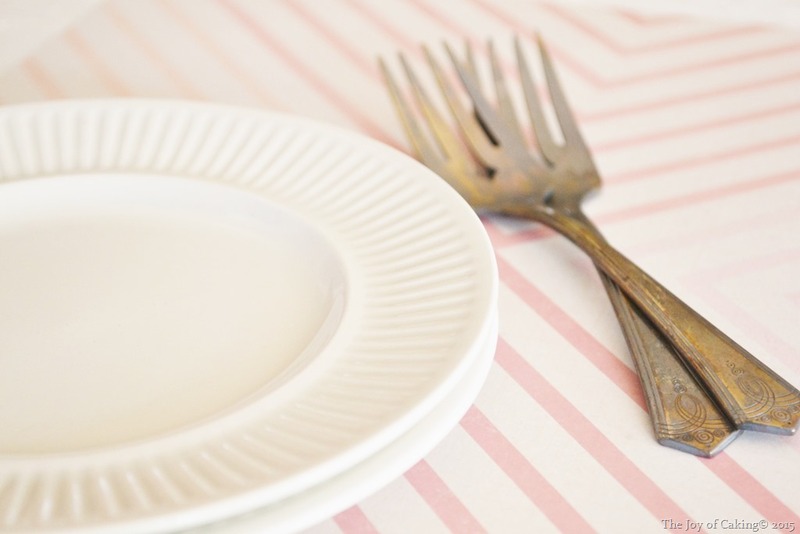 Press into pie plate with a spoon, or by hand. Bake for 8 minutes. Cool prior to using. 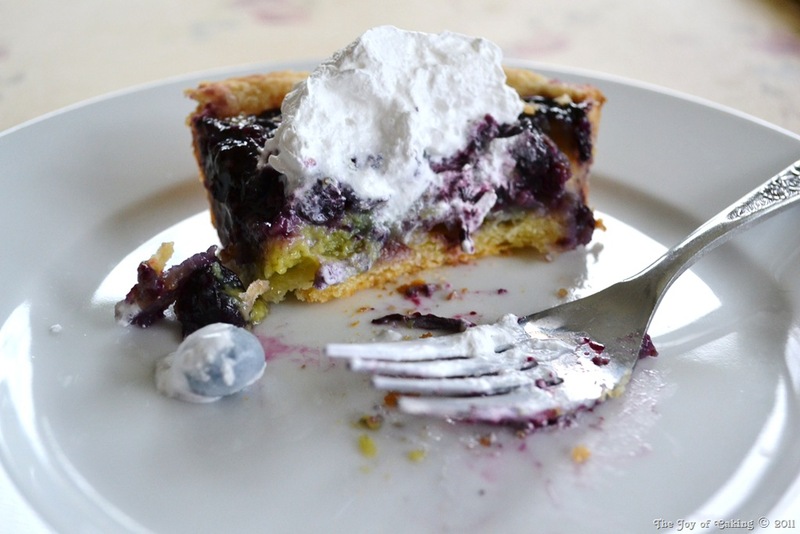 Place berries in the bottom of the crust; set aside. In medium bowl, mix flour and sugar. Gradually add milk; stir until smooth. Whisk in eggs, vanilla, nutmeg and cinnamon. 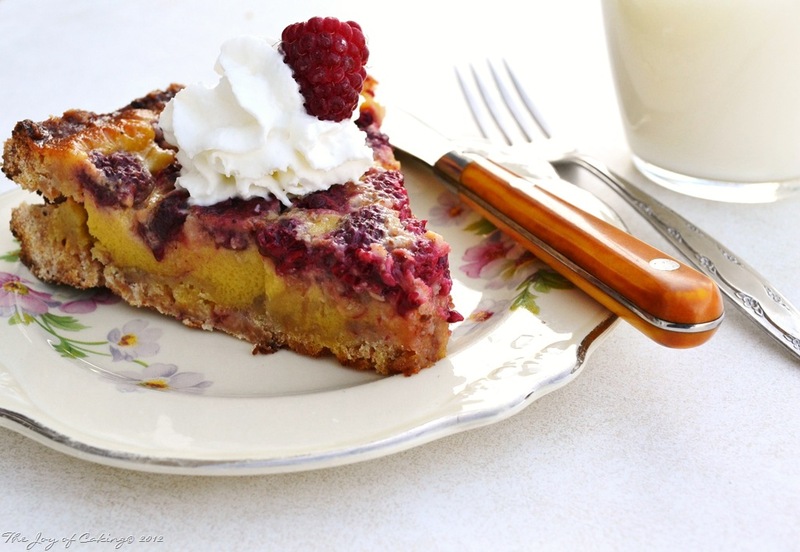 Pour into pie crust covering berries. Bake at 425 degrees for 15 minutes. Reduce heat to 350 degrees and bake for additional 35 minutes, or until knife comes out clean when inserted into the center of the pie. I have made the custard filling once with evaporated milk, and once with skim milk, and I did notice a difference between the two. I think the skim milk separated a bit more, where the evaporated did not. I actually liked the flavor of the custard made with the skim better than the evaporated milk. The next time I make a custard pie I will use a half of cup of each and see if it balances everything out. One other recommendation; use a pie crust shield around the edge of the crust to prevent over browning. I’m sold on custard with fruit pies. They are so tasty and simple to make. I recently won a Cuisinart stick blender with a chopper attachment in a cool recipe contest hosted by BeBetsy.com. I used the chopper to grind up the vanilla wafers for this pie crust. It was so powerful and really got the job done. I guess that gives me an excuse to make more pies – doesn’t it? 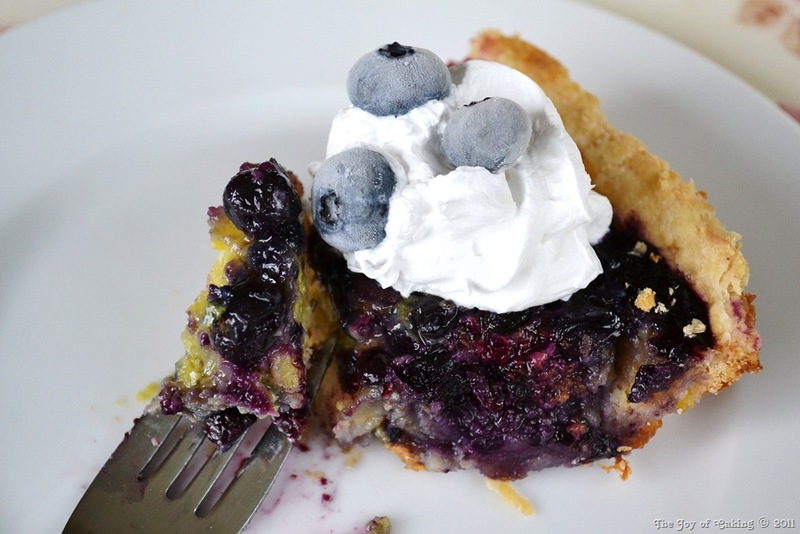 Sharing this delicious pie over at Tidy Mom’s – I’m Lovin it Friday’s! Check out all of the great entries posted there. In my last post I left you all hanging. 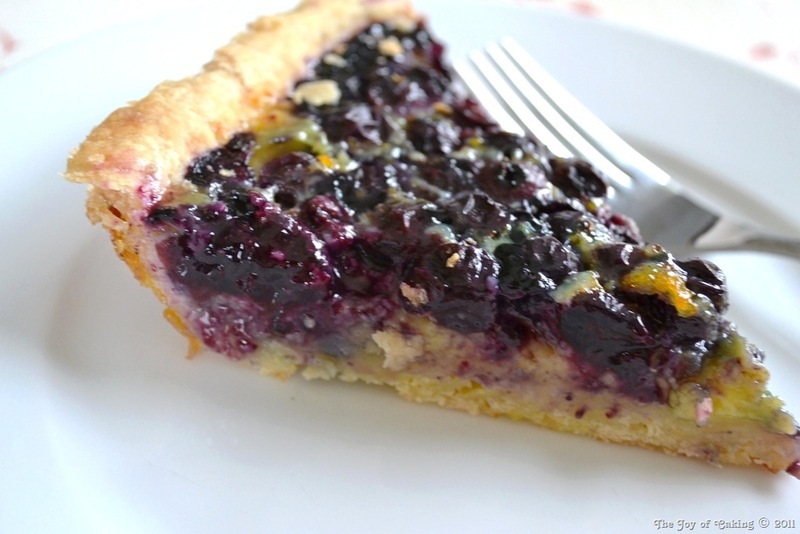 I promised you more information about an old-fashioned blueberry custard pie I had made after picking fresh blueberries. Here is the continuation as promised. I decided to make a custard pie for several reasons. The first reason, our chickens are out doing themselves in egg production these days. 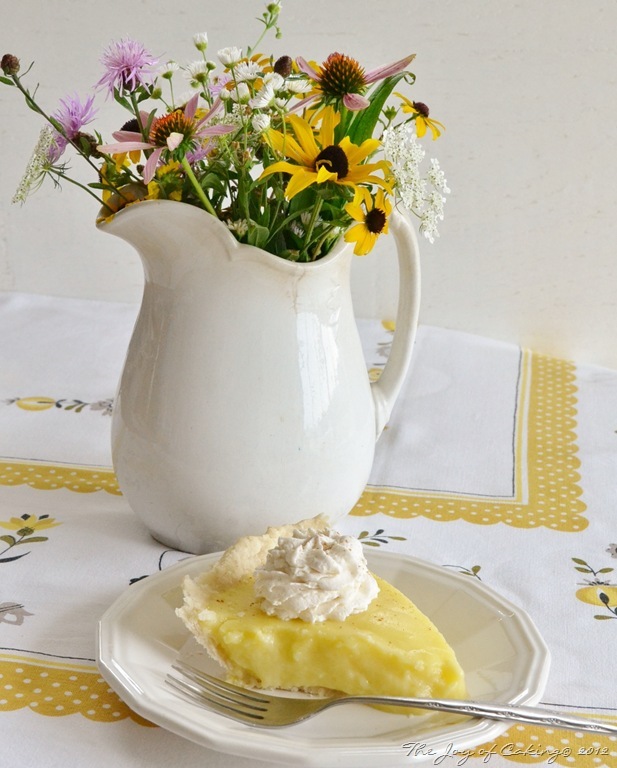 The second reason, I haven’t had a piece of old-fashioned custard pie since I was a little girl. And thirdly, I wanted to pick blueberries but needed an excuse to make something oh – so comforting with them. With no recipe in my recipe box for a custard pie I decided to search on-line for one. 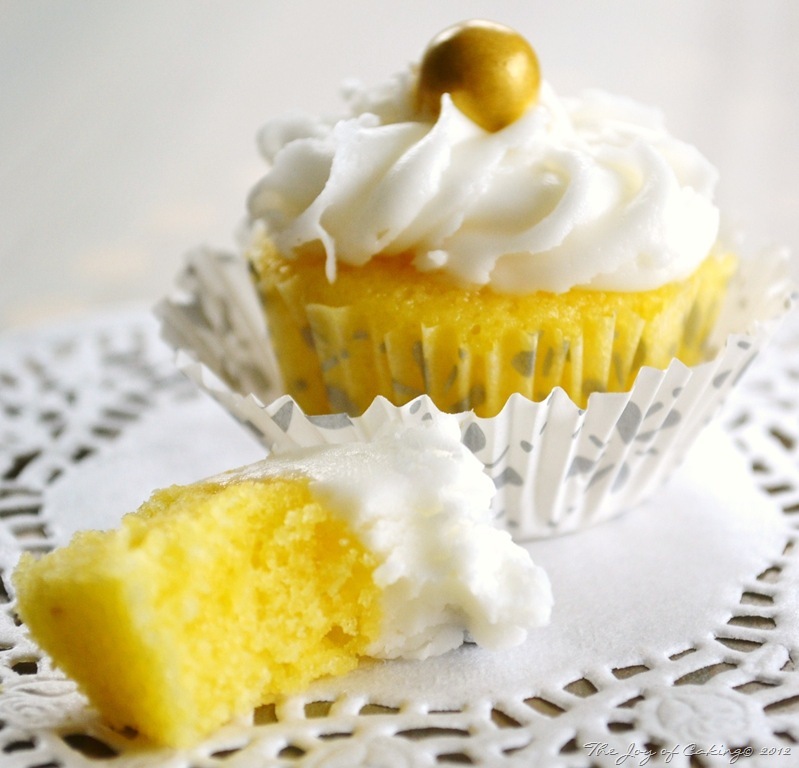 The first recipe I came to was submitted to Food.com by Michelle S – and it looked like a winner. There were great reviews and the recipe sounded so easy. I figured what the heck, I’d give it a try. The only problem with the recipe? I didn’t have any evaporated milk on hand and the recipe called for it. I thought about running to the store for a brief second and then I decided to do a little more research. I found other recipes that didn’t call for evaporated milk so I decided to go ahead and make it with the skim milk I had on hand. What I liked about this recipe? 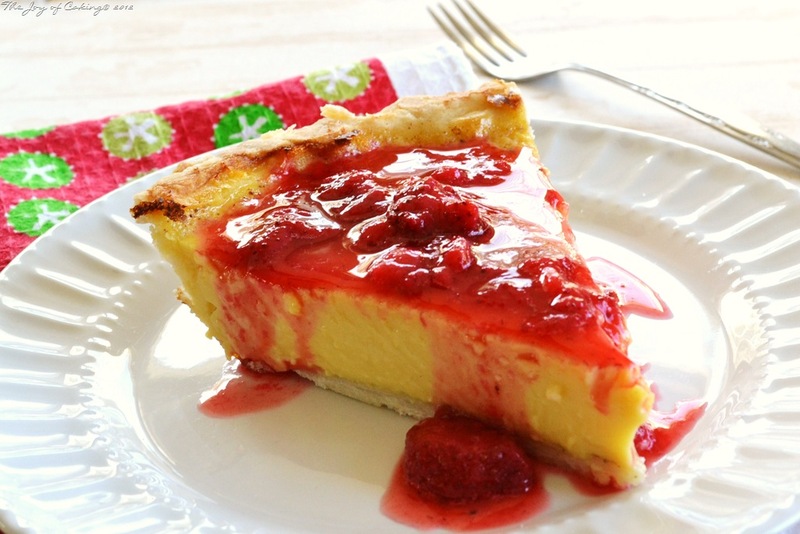 You use a pre-baked pie shell, you dump your berries directly into the pie shell, and in a separate bowl you mix your eggs, milk, sugar, flour and vanilla together. Once your egg mixture is ready you pour it over the berries and it’s ready for the oven. Easy, easy, easy…. I could barely wait for it to cool before I sampled it. And then there was the moment of truth. Would this recipe stand up to the great reputation it had seemed to earn? The pie was DELICIOUS! Perfect – not too custardy, lots of fruit, and sweet and smooth – no disappointments. This pie definitely lived up to it’s given reputation. This is one of those times that I couldn’t finish taking pictures without tasting. As you can see, one taste lead to another and another. 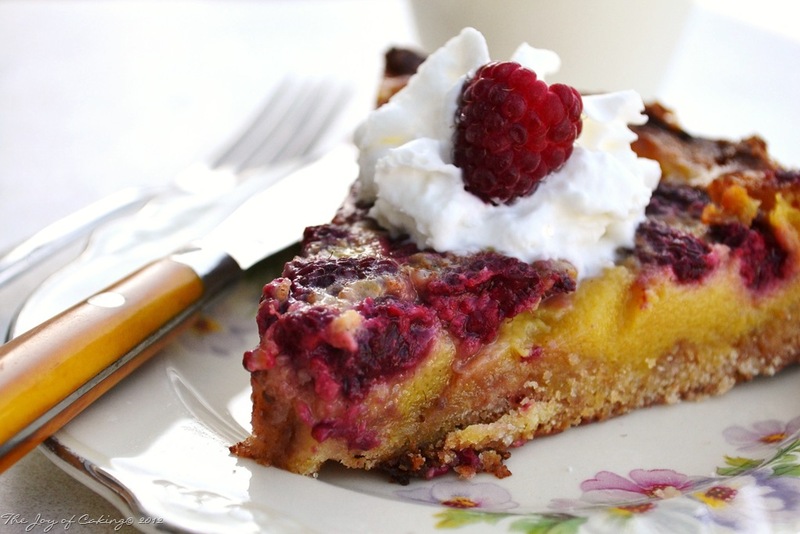 This pie would be great made with other berries too. I’m thinking a red raspberry custard pie is in my future.